Researchers commonly ask subjects to self-identify their race from a menu of preestablished options. Yet if race is a multidimensional, multilevel social construction, this has profound methodological implications for the sciences and social sciences. Race must inform how we design large-scale data collection and how scientists utilize race in the context of specific research questions. This landmark collection argues for the recognition of those implications for research and suggests ways in which they may be integrated into future scientific endeavors. 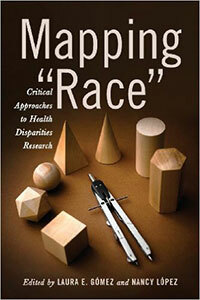 It concludes on a prescriptive note, providing an arsenal of multidisciplinary, conceptual, and methodological tools for studying race specifically within the context of health inequalities. 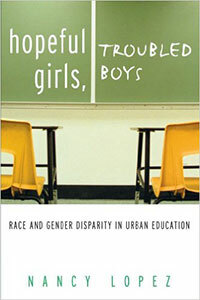 This book is an ethnographic study of Carribean youth in New York City to help explain how and why schools and cities are failing boys of color. Many of our country's children face daily a threat to their personal safety and well-being. As school boards, law enforcement officials, and policymakers continue to look for ways to stop youth violence in urban and suburban schools, not enough attention is paid to eradicating the socioeconomic and cultural conditions that give rise to these acts. 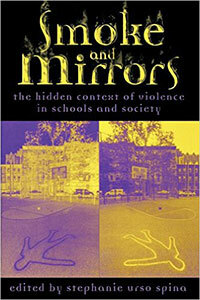 In this timely and thought-provoking collection, seasoned educators and cultural theorists emphasize this connection between youth violence and the realities faced by many children poverty, racism, unequal opportunity, and the media's glorification of violence. 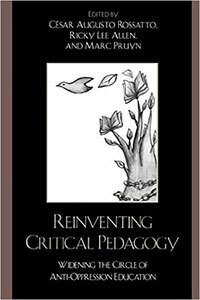 Reinventing Critical Pedagogy offers a fresh perspective from which to read, discuss, and debate recent critical interpretations of schooling and our world at present. The authors build upon past accomplishments of critical pedagogy and critique those elements that contradict the radically democratic orientation of the field. Ultimately, they argue that critical pedagogy needs to welcome a wider representational and ideological base for the oppressed, and that it should do so in a way that makes the field more vital in the preparation for the revolutionary struggles ahead. Reinventing Critical Pedagogy takes a step in that direction because it not only takes to task "external" forces such as capitalism, patriarchy, and white supremacy, but also engages the manifestations of these external forces within critical pedagogy itself. In a world where voices of youth are increasingly being shunned via high stakes testing, zero tolerance school policies, and public opinion that supports punishing youth with more severe penalties, adolescents have very few opportunities to open up and have their voices be heard. However, young people have found spaces to share their most personal and critical ideas of their world by writing, reading, sharing and performing spoken word poetry, which is a poetic form that combines performance with rhythmic flow. To examine how spoken word can be utilized as a critical teaching tool that fosters critical consciousness ( emancipating the mind from mental slavery), dialogue, and action. I rely on Critical Race Theory, Resistance Theory, Critical Literacy and an Anti-colonial framework to guide the methodology and interpretation in this study.